Kennel living as it is in today’s world is much more fun and exciting than days gone by. It is anything but boring! Much as hotels are improving their Pet Perks, so too is the kennel. Fancy names like pet hotel, pet resort…they are simply a kennel that, like other kennels, offer your pet lots of love, attention and care and then some. That said, if you are one of those people that we hear saying “She thinks she’s human,” then you can bet the high-end kennel known as a dog hotel or pet resort, is going to be an outing that your pet will absolutely love. Check this out! The kennel of today has stepped it up a few notches. Read up on kennel trends and learn how they’ve changed. Dog day afternoon has taken on a new meaning. If you plan to leave your dog or cat in a kennel, here are some pointers. If possible, visit the kennel or ask around to see if anyone has taken their pet to the kennel. Don’t rely on online comments and ratings as these could be misleading. Call the kennel and ask questions. How do the animals get their exercise? Do they get any outdoor time? How often do they get fed and watered? What do they get fed? Is there 24/7 supervision? If not, where do the dogs sleep when the kennel is closed. These are basic questions. Within our listings, you will most likely run across a kennel with amenities that are suitable for a human. Whether you are searching for a 2-star or 5-star pet hotel, remember a kennel by any other name is still a kennel. Keep your pet’s best interest in mind and make sure the lodging facility you choose fits your pocketbook. There are many in today’s world to select from and most are good– as word spreads fast online. You will find mostly that the kennels you call or visit understand how seriously pet owners take the happiness of their animals. They are often staffed by pet-loving professionals that adore animals. Nearly all will understand your pet has a personality and feelings, and will pay attention to make sure your animal is getting enough attention. Taking your pet to a kennel is a good way to ensure they have supervision from people who are trained to observe animal behavior and intervene in the case of a problem. Did you know your dog can become depressed? It happens often to dogs who are left alone for too long. 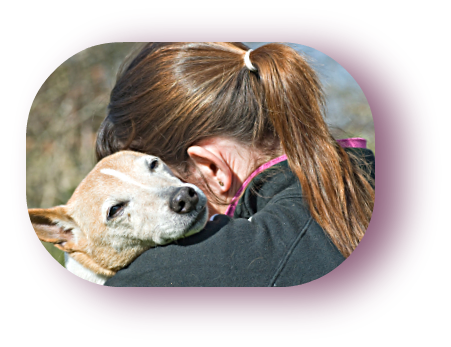 Kennel personnel are trained to look for the signs of animal depression and counter act it with tender love and care. And, even better, kennels ensure your pet will have companionship of other animals! Just think of your dog playing in yard area or play room with other dogs – it’s like a live-in dog park. You owe it to your pet to at least check out what your local kennel has to offer. See our listings page to find a kennel that is convenient for you, and take your next trip without any anxiety or worry about your dog. Type in the city name you are visiting in Travel Guide and search our kennel listings. We also have listings for doggie daycares, dog walkers, groomers, veterinarians or whatever type of service you are needing. Vacation Pet Friendly is here to help its community of pet lovers find everything they need to make travel easy for pet owners.